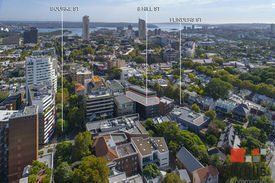 280 Commercial Real Estate & Properties in Surry Hills are listed in 5 categories. We have 246 OfficesLease , 31 Retail ShopsLease , 3 Other Commercial PropertiesLease , 1 Industrial Warehouses Lease and 1 Medical and Consulting PropertiesLease . 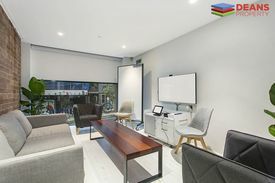 Coworking | Fully Furnished | Free Meeting Rooms $200pw | 2 Person Workspa..
PROPERTY OVERVIEW $200pw Price incl. 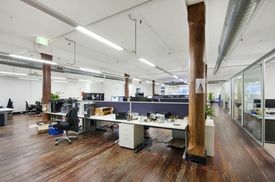 Amazing shared office space in a trendy and convenient location in Surry Hills. 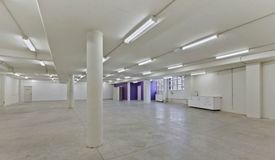 This cool space will be shared with a media company and would be a perfect fit for those in the creative, technology, marketing or media industries. There is a fully furnished private office as well as a number of open plan co working desks, all fully furnished and including all outgoings and internet. Top that off with free use of meeting rooms and printers, and your ideal office space awaits you. Spacious converted warehouse with over 240 sqm over two floors, includes a mezzanine level, high ceilings and original lead light windows. With plenty of space and loads of natural light, the large open plan design is finished in polished hardwood floors, exposed beams and a complete kitchenette. Only a stones throw from all Crown street has to offer including great cafes and restaurants. The advertised office space is perfect for a team of 2. If you need more or less space, we have over 30,000 furnished workspaces all over the world suitable for a team of 1 to 200+. Our award winning team offer a free service that will help you find the perfect solution for your needs, so reach out if you need more help. What you get for your weekly rent , 24/7 Access , Access to kitchen facilities , Building outgoings included , Electricity usage included , Regular cleaning , Dedicated Desk with 24x7 Access , A fully furnished office suite , Access to secure printer and scanner , Commercial grade internet (Free) , Lockable storage unit Building features , Private offices , Showers , Direct access to public transport , Modern communal food preparation areas , Industrial / Warehouse style fitout , Car parking Street (Free) , Creative co working space , Quick access to major airports 100m to The Cricketers Arms Hotel Bus stops on the doorstep for 373, 377, 392, 394, 396, 397, 399 and M10. 1km to Central Station 1km to Sydney Cricket & Sports Ground WHO IS OFFICE HUB? Office Hub has largest collection of shared office space, sublet office space, creative coworking office space and serviced offices, perfect for 1 200 employees. Let us take you on a tour of all the spaces that fit your needs and budget. Our service is complimentary and we work for you and the landlord to negotiate the most competitive deal in the market. Let us show you how shared and serviced offices can be the perfect solution for your business. www.office hub.com.au www.office hub.co.nz Conditions apply A portion of the square meterage factors in access to shared space. The advertised price includes any incentives offered based on a 12 month agreement. If a shorter period is agreed to please note the price may increase accordingly. This promotional offer for new tenants only and may be withdrawn at any time due to space availability. 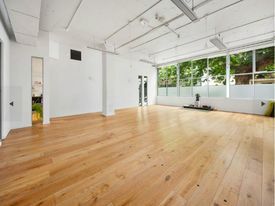 Cool Space | Close To Train | Natural Light $626pw | 8 Person Workspa..
PROPERTY OVERVIEW $626pw Price incl. Cool startup style office next to Central Station in Surry Hills. The small biz at this trendy office is looking to share space with a couple more tech, digital or startup teams, offering two spare private offices for 4 5 people. 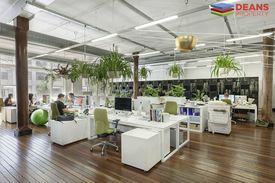 Innovative teams will love the natural light, creative vibe and fun communal areas where you can catch up with friendly people at this Surry Hills shared workspace. The generous ground floor offices both have brand new furniture, aircon and internet set up and they’re ready to move into at this all inclusive rate. Meeting rooms are free to use for 3x 2 hr sessions per week (due to high usage from the other company) and motorbike parking is available at a small extra. There’s also a kitchen, pet friendly policy and 24/7 access, perfect for teams working to tight deadlines and busy schedules. The two offices are available individually or together on flexible terms starting from 1 month. Startups, creatives, agencies, tech types – this cool workspace was made for you. Tours available on weekdays. 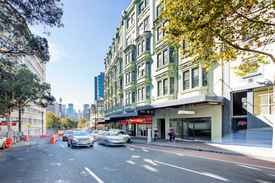 This boutique startup hub sits in a modern two level building just steps from the South Concourse of Central Station. 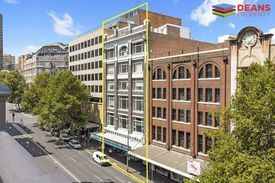 Occupying one of the most sought after locations in Sydney for startups, digitals and creatives, this shared workspace gives young businesses the chance to secure tightly held office space at a rarely seen price. The building has air conditioning, you will be able to add your company branding to reception and there is cheap motorcycle parking available on request. This city fringe coworking space offers staff an easy commute to the Central Station transport hub plus the opportunity to explore newly renovated pubs, great coffee spots, local shops and everything from cheap eats to fine dining in the vibrant Surry Hills. The advertised office space is perfect for a team of 8. If you need more or less space, we have over 30,000 furnished workspaces all over the world suitable for a team of 1 to 200+. Our award winning team offer a free service that will help you find the perfect solution for your needs, so reach out if you need more help. What you get for your weekly rent , 24/7 Access , Access to meeting rooms, booking required (Max 3 x 2 hrs meeting sessions/week) , Access to kitchen facilities , Building outgoings included , Commercial grade internet (Free) , Electricity usage included , Flexible terms , Plug and play furnished workspace , Regular cleaning Building features , Pet friendly office space , Abundance of natural light , Air conditioning , Company Branding at reception , Direct access to train station , Gym and fitness centre close by , New fit out , Private offices , Retail and shopping malls nearby , Shared office space 50m to Central Station Opposite the Strawberry Hills Hotel 300m to Woolworths Next to Fitness Playground and meeting facilities 10 minute walk to Crown Street Who is Office Hub? Office Hub is the world\'s No.1 marketplace for office space. We have a huge global selection of coworking spaces, serviced offices and shared office spaces with flexible options to suit teams from 1 200 people. We\'ll take you on a tour of all the workspaces that fit your needs and work on your behalf to get the best price possible. We\'ll help you discover how shared office space can be the most beneficial and budget friendly solution for your business. www.office hub.com Conditions apply – the advertised price includes any incentives offered based on a 12 month agreement and is available to new tenants only. Please note that the rental rate may increase for a shorter rental period. A portion of the square meterage factors in access to shared space. 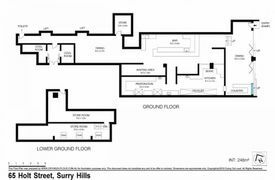 Reception Services | Quiet Workspace | A Grade Fitout $828pw | 4 Person Workspa..
PROPERTY OVERVIEW $828pw Price incl. Creative plug and play workspace in Surry Hills. Price incl. 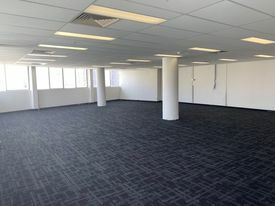 Internet, Electricity, Kitchen, Meeting rooms & Building Outgoings Reception services Flexi terms Stunning space Regular cleaning Full time access Great Location, only 10 minutes from Sydney CBD Collaborative environment Avail NOW for short or long term rent Modern and unique, this space is not just your average office. Located in the heart of Surry Hills and only walking distance to Central Train Station, this space offers your business the opportunity to become part of a community that inspires and connects you to an ecosystem of a variety of businesses. The advertised office space is perfect for a team of 4. If you need more or less space, we have over 30,000 furnished workspaces all over the world suitable for a team of 1 to 200+. Our award winning team offer a free service that will help you find the perfect solution for your needs, so reach out if you need more help. What you get for your weekly rent: Dedicated desk, chair & storage Fibre Internet included Access to boardroom & meeting rooms Access to printer office equipment Reception services All included electricity usage Unlimited use of the kitchen facilities Daily general cleaning Professional business address to put on your cards 24/7 access 24/7 security Flexible contract terms Office features Modern fitout Dedicated mens and ladies bathroom Kitchen Fully equipped Air Conditioning Brightly lit space Building Features Modern commercial building Quality finishes and amenities Lift access to all floors Car parking in building and surrounding areas 400m to Central Train Station 150m to Elizabeth Street Bus Stop 150m to Belmore Park 10 minute walk to Sydney CBD Walking distance to popular cafes, bars & restaurants! WHO IS OFFICE HUB? Office Hub is Australia & New Zealand\'s No 1 small office space commercial real estate agency. We have the largest collection of shared spaces, coworking and serviced offices in Australia & New Zealand, perfect for 1 100 employees. Let us take you on a tour of all the spaces that fit your needs and budget. Our service is complimentary and we work for you and the landlord to negotiate the most competitive deal in the market. Let us show you how shared and serviced offices can be the perfect solution for your business. www.office hub.com.au www.office hub.co.nz Conditions apply A portion of the square meterage factors in access to shared space. Price includes any incentives offered. This is for new tenants only. 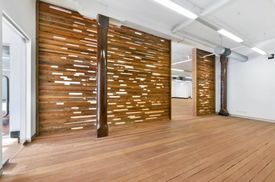 Located in one of Surry Hills most iconic buildings is this creative space You Get! 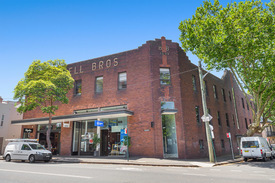 Loads of character High ceilings Great natural light Three separate rooms plus open plan work area Timber Floors Full Kitchen Private Toilet and Shower Flexible terms Located in one for Surry Hill's most iconic warehouse buildings! Within a short walk to Central Station!